Bears Ears National Monument is a United States national monument located in San Juan County in southeastern Utah, established by President Barack Obama by presidential proclamation on December 28, 2016. The monument's original size was 1,351,849 acres (2,112.264 sq mi; 5,470.74 km2), which was controversially reduced 85% by President Donald Trump on December 4, 2017. The monument protects the public land surrounding the Bears Ears—a pair of buttes—and the Indian Creek corridor rock climbing area. The Native American names for the buttes have the same meaning in each of the languages represented in the region. The names are listed in the presidential proclamation as "Hoon’Naqvut, Shash Jáa [sic], Kwiyagatu Nukavachi, Ansh An Lashokdiwe"—all four mean "Bears Ears". The area within the monument is largely undeveloped and contains a wide array of historic, cultural and natural resources. The monument is co-managed by the Bureau of Land Management and United States Forest Service (through the Manti-La Sal National Forest), along with a coalition of five local Native American tribes; the Navajo Nation, Hopi, Ute Mountain Ute, Ute Indian Tribe of the Uintah and Ouray Reservation, and the Pueblo of Zuni, all of which have ancestral ties to the region. The monument includes the area around the Bears Ears formation and adjacent land to the southeast along the Comb Ridge formation, as well as a separate section at Indian Creek Canyon to the northeast. The monument had also included the Valley of the Gods to the south, the western part of the Manti-La Sal National Forest's Monticello unit, and the Dark Canyon Wilderness to the north and west. Canyonlands National Park borders Indian Creek Canyon, while the original monument also bordered the Glen Canyon National Recreation Area and surrounded Natural Bridges National Monument. A proclamation issued by President Trump on December 4, 2017, reduced the monument to 201,876 acres (315 sq mi; 817 km2)—an exceptionally large reduction that is unprecedented in the history of U.S. national monuments. National monuments have been reduced by previous presidents, but not since 1963 and never to such a large degree. Legal scholars have argued that the reduction is not authorized by law, and several federal lawsuits have been filed challenging Trump's action. The monument is named Bears Ears for a pair of buttes that rise to elevations over 8,900 feet (2,700 m) and 9,000 feet (2,700 m), more than 2,000 feet (610 m) above Utah state routes 95 and 261. Capped by Wingate Sandstone, the buttes and surroundings have long been held as sacred or significant by a number of the region's Native American tribes. Ancestral Puebloan cliff dwellings dated to more than 3,500 years ago have been discovered in the region, just some of the estimated 100,000 archaeological sites protected within the monument. The Comb Ridge monocline traverses the eastern portion of the monument's Shash Jáa unit. Of the 1.35 million acres of the original monument designation, the Bureau of Land Management (BLM) oversees 1.06 million acres and the U.S. Forest Service (USFS) manages 289,000 acres. Of the 201,876 acres of the current monument designation, the BLM oversees approximately 169,289 acres and the USFS manages 32,587 acres. The vast majority of the land within the national monument is federal land, though the State of Utah owns about 109,100 acres within the original monument's boundaries, while 12,600 acres are privately owned. These state-owned and privately owned lands are not part of the national monument, and will not be unless they are acquired in voluntary sales to the federal government. The designation of the monument does not affect the rights of landowners in or adjacent to the monument's boundaries to access or use their property. The monument is co-managed by the BLM and the USFS (the Monticello Unit of the Manti-La Sal National Forest), along with a coalition of five local Native American tribes—Navajo, Hopi, Ute Mountain Ute, Ute Indian Tribe of the Uintah and Ouray Reservation, and the Pueblo of Zuni—all of which have ancestral ties to the region. The northern part of the monument borders Canyonlands National Park, while parts of the original monument also bordered Glen Canyon National Recreation Area and surrounded Natural Bridges National Monument. Ecological resiliency is strongest in places that are the least disturbed and most biodiverse. Bears Ears is a resilient landscape. Navajo people have a term for such places of ecological rejuvenation: we call them Nahodishgish, or "places to be left alone." Robert S. McPherson, who is known for his books on Navajos and the Four Corners, described depictions of lightning, arrowheads, wind, snakes, and bears in the rock formations. Prehistorically, Comb Ridge split an intensively used Ancient Puebloan homeland. It later had similar cultural—both spiritual and practical—significance to Utes, Paiutes, and Navajos and played a crucial role in the history of European American settlement. To tell the story of this rock that is unlike any other rock in the world and the diverse people whose lives it has affected. There are over 100,000 archaeological sites protected within the monument. The buttes and surroundings have long been held as sacred or significant by a number of the region's Native American tribes. In their proposal to have Bears Ears designated as a national monument, the Bears Ears Intertribal Coalition (BEITC) described the 1.9 million acres on the southeastern Utah canyonlands Colorado Plateau as ancestral land. The Southern Utah Wilderness Alliance (SUWA) described the Bears Ears as "the most significant unprotected cultural landscape in the U.S."
As early as 13,000 years ago, Clovis people, who are considered to be the ancestors of most of the indigenous cultures of the Americas,:228 hunted in Cedar Mesa, most of which is now included in the Bears Ears National Monument. Their tools, including the "Clovis points", have been found there. One of the oldest known archaeological sites with Clovis tools in Utah is Lime Ridge Clovis Site. Following the Clovis people—at least 2,500 years ago—Ancestral Puebloans began to occupy the Bears Ears area. They left behind "baskets, pottery, and weapons". These are the ancestors of the Hopi and Zuni people who "moved from foraging to farming about 3,500 years ago". :8,9 Archaeological sites of prehistoric American southwestern culture dating 3,000 to 2,000 ago, contained a large number of baskets used for storage of corn and for burial. The pre-Ancestral Puebloans culture became known as the Basketmaker culture. 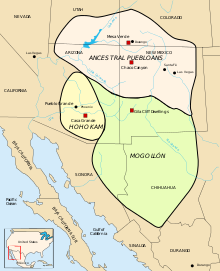 The next period the Pueblo I Period began about AD 500, followed by Pueblo II and III. The "complex cultural history" of these early farmers is visible in the remains of "single family dwellings, granaries, kivas, towers, and large villages and roads linking them together". Along Comb Ridge (Navajo: Tséyíkʼáán)—a one-mile wide and 80-mile long "dramatic geologic fold" with some of the best-preserved cliff dwellings—Ancestral Puebloans lived in the "alcoves and grew corn" from about AD 900 to 1350. They relied heavily on domesticated corn, beans, and squash and a domesticated breed of turkey (Meleagris gallopavo). In the Pueblo II period, they "construct[ed] reservoirs, checkdams, and farming terraces in an effort to capture and conserve water for agricultural use." By c. 1250 the San Juan home of the Ancient Puebloans was "one of the most populous parts of North America." Between the "mid-1200s and 1285" "nearly 30,000 people disappeared" from the San Juan region and resettled in the Rio Grande area of New Mexico and Arizona. :9 They suddenly walked away from their home, leaving behind cooking pots and baskets. A 2015 article in Nature called it "one of the greatest vanishing acts documented in human history" in which the San Juan region "became almost instantly a ghost land." A "monster drought" destabilized the region in the 1200s, and Mesa Verde became overcrowded. When a second drought hit in the late 1200s, the mass exodus began. 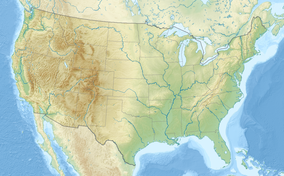 In the early 16th century Native American ancestral lands, now called Four Corners, was claimed by Spain as part of New Spain. In 1848 the land was purchased from Mexico as part of the Treaty of Guadalupe Hidalgo. In the 1860s the Navajos were forced to leave their ancestral lands in what became known as the long walk to Fort Sumner. However, many Utah Navajos were able to stay in southern Utah by hiding in canyons. The history of these Navajo "differs somewhat from that of other Navajos due to years of their interactions with Utes and Paiutes as well as Mormon and non-Mormon settlers, ranchers, and traders". In the 1930s, the area that is now Bears Ears National Monument, was included in an unsuccessful proposal to establish an Escalante National Monument of 4,000,000 acres (1,600,000 ha). In 1943, western historian and novelist David Lavender (1910–2003) described the area in his book One Man's West as "a million and a quarter acres of staggering desolation between the San Juan and Colorado rivers, a vast triangle of land that even today is not completely mapped." One of the early catalysts for securing Bears Ears status as monument was the June 10, 2009 joint raid called Operation Cerberus Action conducted by FBI and U.S. Bureau of Land Management (BLM) agents—"the nation’s largest investigation of archaeological and cultural artifact thefts"— in Blanding, a small town on Bears Ears eastern boundary. In March 2009, President Obama signed former Utah Senator Rob Bennett’s Washington County Lands Bill, "many counties throughout Utah requested inclusion in the next bill" Senator Bennett invited Native people in San Juan County, Utah to engage in discussions on public land management of Bears Ears. San Juan County includes parts of Canyonlands National Park, Glen Canyon National Recreation Area, Hovenweep National Monument, Manti-La Sal National Forest and all of Natural Bridges National Monument, Rainbow Bridge National Monument and Bears Ears National Monument. The "ancestral lands of Bears Ears lie outside reservation boundaries" but "hold special historical and spiritual significance for regional Native people". The Utah Tribal Leaders Association began regular discussions on land-use negotiations to "advance Native American interests on public lands". In 2010, the Utah Diné Bikéyah (UDB) began working on a draft to be sent to "elected officials who were compiling a land-use bill". The UDB draft was endorsed by "all seven Chapter Houses in Utah." "Dine", which means "people", is the name Navajo people traditionally and historically use to refer to themselves. In 2010 Bennett became one of the most prominent targets of the Tea Party movement, on the grounds that he was insufficiently conservative. Mitt Romney strongly endorsed Bennett but he was denied a place on the primary ballot by the 2010 Utah State Republican Convention. With Senator Bennett forced out of office, the draft was not submitted. In 2011 the UDB "engage[d] politically" representing Utah Navajos in the "early stages of the Public Lands Initiative process (PLI)". They published a book entitled Diné Bikéyah which compiled interviews with local elders and traditionalists that they had collected since 2010. In 2012 the Utah Diné Bikéyah (UDB)—Navajoland—officially formed as an organization. The UDB spent 2012 in meetings with the Navajo Nation, the largest reservation in the United States, extending into the states of Utah, Arizona and New Mexico and covering over 27,000 square miles (70,000 km2). The Navajo Nation and San Juan County signed a Memorandum of Understanding to "identify conservation areas, set aside wilderness, propose mineral zones, and pursue economic development opportunities." In 2013, Utah Representative Rob Bishop announced the establishment of the Utah Public Lands Initiative (UPLI). In a report prepared by Bishop, Jason Chaffetz, and Chris Stewart, the Utah Public Lands Initiative was described as a "locally driven initiative" to bring resolution to some of the "most challenging land disputes in the State of Utah". The initiative is "rooted in the belief that conservation and economic development can coexist to make Utah a better place to live, work, and visit". SUWA participated in negotiations with Bishop and Chaffetz and their team "to try and find a compromise that would provide lasting protection for Utah’s ... public lands". In 2014, the National Trust for Historic Preservation—in partnership with the All Pueblo Council of Governors, Friends of Cedar Mesa, Crow Canyon Archaeological Center, the Conservation Lands Foundation, and others—added Bears Ears to its National Treasures program. In 2016, the National Trust included Bears Ears on its annual America's Most Endangered Places list. In July 2015, representatives from the Hopi, Navajo, Ute Mountain Ute, Pueblo of Zuni, and Ute Indian Tribe formed the "historic" Bears Ears Inter-Tribal Coalition (BEITC). Professor Charley Wilkinson from the University of Colorado, who had a "long history of working on the Colorado Plateau", began working with BEITC on a "pro bono basis as senior advisor" soon after its formation. Wilkinson had drafted the 1996 presidential proclamation creating the Grand Staircase-Escalante National Monument. In October 2015, the BEITC submitted a proposal to President Barack Obama, seeking the designation of 1,900,000 acres (770,000 ha) as a national monument which would include Cedar Mesa, Indian Creek, White Canyon, Abajo Mountains, Comb Ridge, Valley of the Gods, and the confluence of the San Juan and Colorado Rivers. The SUMA described how a "historic coalition of Native American Tribes" requested for the Bears Ears National Monument designation to "provide them with co-management authority to protect their ancestral homelands". On July 13, 2016 Utah Representative Rob Bishop unveiled a draft legislation entitled "Utah Public Lands Initiative Act" (UPLI), a bill to "provide greater conservation, recreation, economic development and local management of Federal lands in Utah, and for other purposes". Bishop's UPLI draft bill provided protections for 1,100,000 acres (450,000 ha) through several smaller wilderness areas and two national conservation areas. According to a December 29, 2016 The New York Times article, Bishop, who is among those most critical of the Antiquities Act, opposes the designation of the Bears Ears National Monument. He supports repealing or shrinking the designation. Following the release of the draft, the BEITC pulled out of discussions citing that it was inadequate and a scaled-down version of their original plan. The Southern Utah Wilderness Alliance called Bishop's July 2016 UPLI the "worst piece of wilderness legislation that’s been introduced in Congress since passage of the 1964 Wilderness Act." In 2016, the SUWA stated that the UPLI "promote[d] fossil fuel development, motorized recreation, and control of public resources by the State of Utah, and include[d] unprecedented provisions that would limit federal land managers’ ability to manage public lands for the protection of natural and cultural resources". The Bears Ears Inter-Tribal Coalition (BEITC) was not represented at the July 27, 2016 Senate field hearings on the potential impacts of large-scale monument designations. Davis Filfred, Council Delegate for the Navajo Nation Council, rejected the recommendation made by Interior Secretary Ryan Zinke's on June 12, 2017 to shrink Bears Ears National Monument boundaries. A group of volunteers called Friends of Cedar Mesa, who patrol the Bears Ears area and report incidents to the BLM, "tracked seven major incidents of looting in the Bears Ears area" in the first half of 2016, including an attempt to cut a "rock-art panel of a humanlike figure" from a cliff using a rock saw. On May 2, 2016 the Bureau of Land Management and "Tread Lightly!" launched their "Respect and Protect Campaign" in response to educate the public on protection of petroglyphs, pictograms, dinosaur bones and tracks, among many of the other fragile features in Bears Ears. Presidential Proclamation 9558 of December 28, 2016, by President Obama, established Bears Ears National Monument. The proclamation was published in the Federal Register on January 5, 2017. 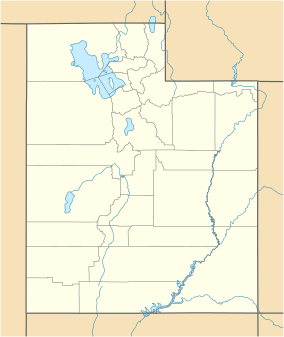 The intertribal coalition proposed the inclusion of several areas that did not make it into the final monument designation; these included the Abajo Mountains (also called the Blue Mountains); the lower reach of Allen Canyon; Black Mesa; a "large, arcing strip of land" next to the Glen Canyon National Recreation Area, surrounding Mancos Mesa; Raplee Anticline, and "most of Lime Ridge between Mexican Hat and Comb Ridge." The omission of these areas from the boundaries of the monument represented a "significant" concession to those who opposed the monument's designation. The monument has divided people in Blanding, Bluff and other Utah towns that skirt its border, and some members of families that are split on the issue have simply stopped speaking to each other. Signs reading "#rescindbearsears" stretch across gas stations and front lawns, which are strategically avoided by people who have taken to wearing pro-monument T-shirts. The monument is in San Juan County—a county of 8,000-square-miles with a sparse population of 16,895. The federal government owns about 60% of the land in the county, and "Native Americans, the grandchildren of white settlers, corporations, environmentalists, the federal government" "jockey[..] to control it and its history". The monument's year 2016 territory makes up about 30% of the county's area. In a May 2017 interview in The New York Times 52-year-old James Adakai, "whose Navajo ancestors lived and hunted here for generations" described how, "We fought, we won the century-year-old fight: the monument. And now we're up for another fight. ... And everybody is against us. The Utah congressional delegation, the governor, the State Legislature, the county. They have a different plan". Phil Lyman, whose great-grandfather arrived in Bears Ears in 1879, criticized the designation as a "land grab", "equating the monument designation to grand theft". Lyman was concerned the Monument designation would "lock him and his neighbors out of their own backyards". The Salt Lake Tribune reported that reactions to the monument's designation ranged "from scathing to celebratory" within the state. The designation was praised by the Bears Ears Inter-Tribal Coalition (BEITC) of Native Americans and environmentalists who had led the campaign to protect the land. Navajo Nation President Russell Begaye wrote that the president's decision will "protect this land as a national monument for future generations of Navajo people and for all Americans", while collaborative land management provisions "strengthened the relationship between our Navajo and American nations." Arizona state Representative Eric Descheenie, a member of the Navajo Nation, said "At the end of the day, there's only a certain place in this entire world, on earth, where we as indigenous peoples belong. And to be able to secure that, you can't put any money value on it." The establishment of the monument was also praised by the Mormon Environmental Stewardship Alliance. Republican leaders reacted to the designation of the monument with disappointment. Some researchers and observers said that it was possible that president-elect Donald Trump or other Republicans might make an attempt to withdraw the designation and abolish the monument, though there is no clear legal mechanism for the president to do so unilaterally. Utah's Republican governor, Gary Herbert, said that he was "more than disappointed" and "deeply disturbed" by President Obama's unilateral decision. Congressman Jason Chaffetz reacted similarly. Utah Attorney General Sean Reyes, also a Republican, stated that "By significantly restricting access to a large portion of public lands in Utah, the President weakens land management capabilities and fails to protect those the Antiquities Act intended to benefit", and announced that he planned a lawsuit regarding the issue. A lawsuit against the FBI and BLM for its "heavy-handed and overzealous" looting raid in 2009, was rejected in February 2017 but "remains a point of contention for people in [Blanding], many of whom are also frustrated by the creation of the nearby Bears Ears National Monument." "Utah politicians such as Utah Senator Mike Lee (R), "ranchers, and business groups" also strongly opposed the monument. In February 2017, Utah Governor Herbert signed a resolution passed by the Utah State Legislature asking President Donald Trump to rescind the designation of Bears Ears as a national monument. There is uncertainty about the authority for a president to completely rescind a monument designated under the Antiquities Act, as it has never been done before. In response, the outdoor clothing company Patagonia announced that it would not be attending the Outdoor Retailer Market in Salt Lake City in 2017 or subsequent years due to the Utah government's opposition to Bears Ears. Patagonia urged other retailers to join it in moving to a state that "values our industry and promotes public land conservation." On February 16, the Outdoor Retailer Market announced that, after talking to the Governor, it would no longer schedule its annual trade show in Utah (as it has done for 20 years) due to the Utah government's opposition to Bears Ears National Monument. The Outdoor Retailer show has 50,000 visitors and generates $45 million in local spending annually. After the pullout from Utah, Colorado attempted to become the host of upcoming Outdoor Retailer shows. The organization Colorado Conservation put advertisements in Utah papers stating, "We have stronger beer. We have taller peaks. We have higher recreation. But most of all we love our public lands." On February 21, 2017, the Southern Utah Wilderness Alliance announced that it would begin a statewide television advertisement campaign to build support for Bears Ears National Monument. On April 26, 2017, the President Trump directed the Interior Department to review 27 monuments of at least 100,000 acres in size through Executive Order 13792. The order directed the department to consider the Antiquities Act "requirement that reservations of land not exceed 'the smallest area compatible with the proper care and management of the objects to be protected.'" On June 10, 2017, Zinke issued an interim report as requested in the Executive Order. He proposed a scaling back of the Bears Ears National Monument. On August 24, 2017, Zinke delivered a final report to Trump. The report calls for the reduction of Bears Ears, Cascade–Siskiyou, Gold Butte, Grand Staircase-Escalante, Pacific Remote Islands Marine, and Rose Atoll Marine. On December 4, 2017, President Donald Trump ordered an 85 percent (about 1.3 million acres) reduction in the size of the monument. The boundaries were redrawn with two noncontiguous units named Indian Creek and Shash Jáa; the latter unit includes the Bears Ears buttes. Trump also reduced the size of Utah's Grand Staircase-Escalante National Monument by nearly 47 percent on the same day. The monument's reduction was seen as a victory for Republican officials and energy companies with mining leases for fossil fuel and uranium deposits, and a defeat for environmentalists and Native American tribes. Internal documents of the Interior Department obtained by The New York Times include the state of Utah's interest in potential mining revenue on state trust lands within the original monument. Any such revenue would benefit the state's public school system. About a month before Interior Secretary Ryan Zinke began his review of national monuments, Senator Orrin Hatch’s office sent a map with reduced monument boundaries to Interior Department officials. Those proposed new boundaries were mostly incorporated into the actual reduction. More than 300 uranium mining claims are located inside the original monument boundaries, with the large majority of those claims being located outside the reduced boundaries. Energy Fuels, a Canadian uranium producer which operates the only uranium mine and mill near the monument's original boundaries via their US subsidiary Energy Fuels Resources, holds about one third of those claims. The company, along with other mining firms, had lobbied hard for the reduction. On December 4, 2017, Utah Congressman John Curtis, along with fellow Utah representatives Rob Bishop, Chris Stewart and Mia Love, introduced a bill that would codify the Trump administration's reduction of Bears Ears National Monument by creating two new national monuments in the remaining areas defined by the president. The monuments would be named Shash Jáa National Monument and Indian Creek National Monument. Shash Jáa would be managed by a council of seven members, including four from Native American tribes, while Indian Creek would be managed by a council of five with just one Native American member. On January 9, 2018, members of the Tribes of the Bears Ears Inter-Tribal Coalition testified against the bill with Shaun Chapoose, a member of the Ute Indian Tribe and Utah Business Committee, stating "Congressman Bishop’s [committee chairman] contempt for the United States government-to-government relationship with Indian tribes and the legislative process in his own Committee was on full display during the hearing." The bill, if passed by Congress and signed by the president, would effectively negate any legal challenges to the reduction. Three separate federal lawsuits were filed by December 7, 2017 challenging the reduction of Bears Ears National Monument. The plaintiffs include five Native American tribes, a private corporation, conservation groups, and several non-profit organizations and NGOs. The groups have argued that the reduction is not authorized by law. Natural Resources Defense Council v. Trump (and four administration officials) - filed by 11 environmentalist and conservationist groups who argue that "Only Congress—not the President—has the power to revoke or modify a national monument. President Trump’s proclamation purporting to dismantle Bears Ears National Monument exceeded his authority and is unlawful." The plaintiffs are the Natural Resources Defense Council, the National Parks Conservation Association, The Wilderness Society, Southern Utah Wilderness Alliance, Sierra Club, Center for Biological Diversity, Defenders of Wildlife, Grand Canyon Trust, Great Old Broads For Wilderness, Western Watersheds Project, and WildEarth Guardians. Hopi Tribe v. Trump - filed by five Native American tribes—the Hopi Tribe, Navajo Nation, Ute Indian Tribe, Ute Mountain Ute Tribe, and Zuni Tribe—against Trump and four administration officials. The plaintiff tribes argue that Trump's significant reduction in Bears Ears National Monument infringes on Congress's power in violation of the constitutional principles of separation of powers. The plaintiff tribes also argue that Trump's shrinkage violates the Antiquities Act of 1906. Patagonia Inc., an outdoor retailer, has also sued over the reduction of Bears Ears. Patagonia, like others in the outdoor recreation industry, has been outspoken against the Trump administration actions, posting on its website a message reading, "The president stole your land. In an illegal move, the president just reduced the size of Bears Ears and Grand Staircase-Escalante National Monuments. This is the largest elimination of protected land in American history." Sixteen national monuments were reduced in 18 separate acts by previous presidents, but not by any president since 1963. The largest previous reduction by acreage was President Woodrow Wilson's 1915 removal of 299,370 acres (121,150 ha) from the Mount Olympus National Monument established by Theodore Roosevelt in 1909. The largest reduction by percentage was Navajo National Monument by 90% (from about 3715 acres to 360 acres) by President William Howard Taft in 1912 after he established it three years prior. ^ Begaye, Russell; Nez, Jonathan (2016). "Partnering for a New Tomorrow: Five focus areas for tribal and state success". page 4. navajo-nsn.gov. Navajo Nation Office of the President and Vice President. Retrieved May 14, 2018. ^ Begaye, Russell; Nez, Jonathan; et al. (April 16, 2016). "Letter to Obama re Bears Ears initiative". page 1. bearsearscoalition.org. The Bears Ears Inter-Tribal Coalition. Retrieved May 14, 2018. "the Bears Ears Buttes (Shash Jaaʼ)"
^ a b c d e Obama, Barack (December 28, 2016). "Proclamation – Establishment of the Bears Ears National Monument". whitehouse.gov. Washington, D.C.: White House Office of the Press Secretary. Retrieved December 30, 2016. ^ Williams, Terry Tempest (May 6, 2017). "Will Bears Ears Be the Next Standing Rock?". The New York Times. Sunday Opinion. Retrieved May 15, 2017. ^ Trump, Donald (December 4, 2017). "Presidential Proclamation Modifying the Bears Ears National Monument". whitehouse.gov. Washington, D.C.: White House Office of the Press Secretary. Retrieved January 7, 2018. ^ a b c d Keith Schneider, Trump dramatically shrinks two national monuments in Utah, assailing rule by 'distant bureaucrats', Los Angeles Times (December 4, 2017). ^ a b "Antiquities Act 1906-2006: Maps, facts and figures". nps.gov. National Park Service. Retrieved December 12, 2017. ^ Julie Turkewitz, Trump Slashes Size of Bears Ears and Grand Staircase Monuments, New York Times (December 4, 2017). ^ a b c "Bears Ears National Monument, Indian Creek and Shash Jáa Units map". blm.gov. Bureau of Land Management. March 2018. Retrieved May 14, 2018. ^ "Bears Ears National Monument, Utah - Topographic Map". blm-egis.maps.arcgis.com. Bureau of Land Management. Retrieved May 15, 2018. ^ a b Bruinius, Harry (December 29, 2016). "For Native Americans, new national monument a rare victory". The Christian Science Monitor. Boston: The Christian Science Publishing Society. Retrieved December 30, 2016. ^ a b c d e f g h "Bears Ears national Monument: Questions & Answers" (PDF). United States Forest Service. Archived from the original (PDF) on January 1, 2017. Retrieved December 31, 2016. ^ "Monument Management Plans for the Indian Creek and Shash Jaa Units of Bears Ears National Monument". blm.gov. Bureau of Land Management. Retrieved May 24, 2018. ^ Davenport, Coral (December 28, 2016). "Obama Designates Two New National Monuments, Protecting 1.65 Million Acres". The New York Times. New York City: The New York Times Company. Retrieved December 29, 2016. ^ Maffly, Brian (December 28, 2016). "What is Bears Ears? Take a look inside Utah's new national monument". The Salt Lake Tribune. Salt Lake City: Paul Huntsman. Retrieved December 29, 2016. ^ a b "Tribal Resolutions" (PDF) (Press release). Hopi Tribe, Navajo Nation, Ute Mountain Ute Tribe, Pueblo of Zuni, and Ute Indian Tribe. Retrieved May 6, 2016. ^ McPherson, Robert (2010). "Power, Prayers, and Protection: Comb Ridge as a Case Study in Navajo Thought" (PDF). American Indian Culture and Research Journal. 34 (1): 1–23. doi:10.17953/aicr.34.1.4036724589013702. ^ a b c d e f "Proposal Overview". The Bears Ears Intertribal Coalition. nd. Retrieved May 15, 2017. ^ a b c d e f "The Public Lands Initiative is a Disaster for Utah's Wild Places". Southern Utah Wilderness Alliance (SUWA). Salt Lake City, Utah. 2016. Retrieved May 15, 2017. ^ Harris, Richard (February 13, 2014). "Ancient DNA Ties Native Americans From Two Continents To Clovis". NPR. Retrieved May 25, 2017. ^ Rasmussen, Morten; et al. (February 13, 2014). "The genome of a Late Pleistocene human from a Clovis burial site in western Montana". Nature. 506 (7487): 225–229. doi:10.1038/nature13025. PMC 4878442. PMID 24522598. Retrieved May 25, 2017. "As such, contemporary Native Americans are effectively direct descendants of the people who made and used Clovis tools and buried this child. In agreement with previous archaeological and genetic studies." ^ Waters, Michael; et al. (2007). "Redefining the Age of Clovis: Implications for the Peopling of the Americas". Science. 315 (315): 1122–1126. doi:10.1126/science.1137166. ^ a b c "Comb Ridge". ears Ears Intertribal Coalition (BEITC). 2015. Retrieved May 16, 2017. ^ Speller, Camilla F.; Kemp, Brian M.; Wyatt, Scott D.; Monroe, Cara; Lipe, William D.; Arndt, Ursula M.; Yanga, Dongya Y. (December 28, 2009). Flannery, Kent V. (ed.). "Ancient mitochondrial DNA analysis reveals complexity of indigenous North American turkey domestication". Proceedings of the National Academy of Sciences of the United States of America. 107 (7): 2807–2812. doi:10.1073/pnas.0909724107. PMC 2840336. PMID 20133614. Mitochondrial DNA analysis of 149 turkey bones and 29 coprolites from 38 archaeological sites (200 BC–AD 1800) reveals a unique domesticated breed in the precontact Southwestern United States. ... This study points to at least two occurrences of turkey domestication in precontact North America and illuminates the intensity and sophistication of New World animal breeding practices. ^ "Peoples of the Mesa Verde Region". Crow Canyon Archaeological Center. 2011. Retrieved May 23, 2017. ^ a b c d Monastersky, Richard (November 5, 2015). "The greatest vanishing act in prehistoric America: Seven centuries ago, tens of thousands of people fled their homes in the American Southwest: Archaeologists are trying to work out why". Nature. 527 (7576): 26–29. doi:10.1038/527026a. PMID 26536941. ^ a b Griffin-Pierce, Trudy (2000). Native Peoples of the Southwest. ABE Books. ISBN 978-0826319081. ^ Yakar, Jak (March 1, 2015). International Symposium on East Anatolia-South Caucasus Cultures. 1. Caucasus: Cambridge Scholars Publishing. p. 440. ^ "Zuni". Long-term Vulnerability and Transformation Project (LTVTP). Archived from the original on October 17, 2012. Retrieved May 26, 2017. ^ "Zuni Settlement Patterns: A.D. 950-1680" (PDF). Archaeology Southwest. 22 (2): 15–16. 2008. Archived (PDF) from the original on June 26, 2014. ^ Gregory, David A.; Wilcox, David R., eds. (December 30, 2009). Zuni Origins: Toward a New Synthesis of Southwestern Archaeology. The University of Arizona Press. p. 517. ISBN 978-0816528936. :119 "The Economic Origins of Zuni" (PDF). Archaeology Southwest. 22 (2). 2008. Archived (PDF) from the original on June 26, 2014. ^ a b Maryboy, Nancy C.; Begay, David (2000). "The Navajos of Utah". A History of Utah's American Indians. pp. 264–314. ^ Gregory, H.E. (1938). The San Juan Country, a Geographic and Geologic Reconnaissance of Southeastern Utah (Report). U.S. Geological Survey Professional Paper. U.S. Geological Survey. ^ a b c Meyer, Robinson (June 14, 2017). "Obama Conserved 1.3 Million Acres in Utah—Can Trump Undo That? No president has shrunk a national monument in half a century". The Atlantic. Retrieved September 20, 2017. ^ a b c d Thompson, Jonathan (December 29, 2016). "Bears Ears a go — but here's where Obama drew the line: The designation's concessions are unlikely to appease ardent opponents". High Country News. Paonia, Colorado: Paul Larmer. Retrieved December 30, 2016. ^ Lavender, David (1943). One Man's West. ^ Sharp, Kathleen (November 2015). "An Exclusive Look at the Greatest Haul of Native American Artifacts, Ever: In a warehouse in Utah, federal agents are storing tens of thousands of looted objects recovered in a massive sting". Smithsonian Magazine. Retrieved September 20, 2017. ^ a b c d Isaacson, Andy (December 28, 2016). "Two New National Monuments Created in Utah and Nevada: Bears Ears and Gold Butte protect more than 1.6 million acres in all. Conservationists are delighted—but conservatives are outraged". National Geographic. Retrieved September 20, 2017. ^ a b c d e Whitehurst, Lindsay (February 13, 2017). "Suit over artifact looting case suicide rejected on appeal". Deseret News. Salt Lake City. Retrieved September 20, 2017. ^ a b "Timeline". The Bears Ears Intertribal Coalition. nd. Retrieved May 15, 2017. ^ a b c d e "History". Utah Diné Bikéyah (UDB). Salt Lake City, Utah. 2016. Retrieved May 15, 2017. ^ "History Navajo Nation". Navajo Nation Government. Archived from the original on April 26, 2011. Retrieved April 28, 2011. ^ Millis, Kristin (May 22, 2013). "Managing Editor". Moab Sun News. Retrieved April 28, 2014. ^ "Utah Public Lands Initiative". UPLI. Archived from the original on June 22, 2017. Retrieved May 15, 2017. ^ "Bears Ears National Monument, Utah | National Trust for Historic Preservation". Retrieved October 20, 2017. ^ "11 Most Endangered Places 2016 | National Trust for Historic Preservation". Retrieved October 20, 2017. ^ "Bears Ears: A Native Perspective" (PDF). Bears Ears Inter-tribal Coalition (BEITC). October 2015. p. 16. Retrieved May 16, 2017. ^ "Professor Wilkinson Instrumental in President Obama's Designation of Bears Ears National Monument". December 30, 2016. Retrieved May 15, 2017. ^ "Profile Charley Wilkinson". University of Colorado. Boulder, CO. nd. Retrieved May 15, 2017. ^ "Proposal to President Barack Obama for the Creation of Bears Ears National Monument" (PDF) (Press release). The Bears Ears Inter-Tribal Coalition. October 15, 2015. Retrieved May 6, 2016. ^ Bishop, Rob (July 13, 2016). "Utah Public Lands Initiative Act" (PDF). Archived from the original (PDF) on March 22, 2017. Retrieved May 15, 2017. ^ a b "Utah tribes say public-lands bill 'adds insult to injury,' petition Obama to designate monument". The Salt Lake Tribune. Salt Lake City: Paul Huntsman. January 20, 2016. Retrieved May 6, 2016. ^ a b Siegler, Kirk (February 5, 2017). "Utah Representative Wants Bears Ears Gone And He Wants Trump To Do It". Weekend Edition. NPR. Retrieved February 5, 2017. ^ Davenport, Coral (December 29, 2016). "Obama Designates Monuments in Nevada and Utah". The New York Times. Retrieved February 5, 2017. ^ Hansman, Heather (January 19, 2017). "Congress moves to give away national lands, discounting billions in revenue". The Guardian. Retrieved February 5, 2017. ^ "The potential impacts of large-scale monument designations". Senate field hearing. July 27, 2016. Retrieved May 29, 2017. ^ "The BLM and Tread Lightly! Launch Respect and Protect Campaign". Salt Lake City. May 2, 2016. Retrieved May 23, 2017. ^ "BLM Utah Bears Ears National Monument Map" (PDF). Bureau of Land Management. Retrieved May 23, 2017. ^ a b c Turkewitz, Julie (May 14, 2017). "Battle Over Bears Ears Heats Up as Trump Rethinks Its Monument Status". The New York Times. Retrieved May 15, 2017. ^ a b c d "Reactions to Utah's new Bears Ears National Monument, from scathing to celebratory". The Salt Lake Tribune. Salt Lake City: Paul Huntsman. December 29, 2016. Retrieved December 30, 2016. ^ Meyer, Robinson (December 30, 2016). "Obama's Environmental Legacy, in Two Buttes: The Bears Ears National Monument captures much of what made President Obama inspiring to his supporters—and frustrating to his critics". The Atlantic. Retrieved December 30, 2016. ^ Begaye, Russell. "How President Obama Has Protected Our Sacred Land for Future Generations". medium.com. Retrieved December 30, 2016. ^ Solomon, Chris (December 29, 2016). "Overturning Bears Ears Is a Long Shot, But That Doesn't Mean Republicans Won't Try". Outside. Santa Fe, New Mexico: Mariah Media. Retrieved December 30, 2016. ^ a b "Obama designates two national monuments, outrages Republicans". New York City: Fox News. Associated Press. December 29, 2016. Retrieved December 30, 2016. ^ Burr, Thomas (February 7, 2017). "Chaffetz urges Trump to revoke Bears Ears in meeting, oversight not discussed". Salt Lake Tribune. Retrieved February 23, 2017. ^ David Gelles (May 5, 2018). "Patagonia v. Trump". The New York Times. Retrieved May 6, 2018. ^ Byars, Tessa (February 6, 2017). "Patagonia to withdraw from Outdoor Retailer". Retrieved February 22, 2017. ^ "Monumental Decision: Outdoor Retailer show leaving Salt Lake after meeting with the governor over Bears Ears". Deseret News. February 17, 2017. Retrieved February 22, 2017. ^ a b Barbash, Fred (February 17, 2017). "Largest outdoor gear show abandons Salt Lake City after 20 years to protest Utah Republicans' conservation stance". The Washington Post. Retrieved May 15, 2017. ^ Schott, Bryan (February 21, 2017). "New TV campaign launched to build support for Bears Ears". Today At Utah Policy. Retrieved May 15, 2017. ^ Zinke, Ryan K. (June 10, 2017). Interim Report EO 13792 (Report). Retrieved June 13, 2017. ^ Department of Interior (June 12, 2017). "Secretary Zinke Submits 45-Day Interim Report on Bears Ears National Monument and Extends Public Comment Period". U.S. Department of the Interior. ^ a b Ryan K. Zinke (August 24, 2017). Final Report Summarizing Findings of the Review of Designations Under the Antiquities Act (PDF) (Report). U.S. Department of the Interior. Retrieved January 6, 2018. ^ McCombs, Brady; Brown, Mathew (March 12, 2019). "Trump's national monument changes return to spotlight". www.sfchronicle.com. Retrieved March 18, 2019. ^ Karklis, Laris; Berkowitz, Bonnie; Meko, Tim (December 7, 2017). "Areas cut out of Utah monuments are rich in oil, coal, uranium". The Washington Post. Archived from the original on January 2, 2018. Retrieved January 2, 2018. ^ a b Eilperin, Juliet (December 8, 2017). "Uranium firm urged Trump officials to shrink Bears Ears National Monument". The Washington Post. Archived from the original on January 2, 2018. Retrieved January 2, 2018. ^ Lipton, Eric; Friedman, Lisa (March 2, 2018). "Oil Was Central in Decision to Shrink Bears Ears Monument, Emails Show". The New York Times. Archived from the original on March 2, 2018. Retrieved May 7, 2018. ^ Tabuchi, Hiroko (January 13, 2018). "Uranium Miners Pushed Hard for a Comeback. They Got Their Wish". The New York Times. Archived from the original on February 1, 2018. Retrieved May 7, 2018. ^ John Curtis, Rob Bishop, Chris Stewart, Mia Love (December 4, 2017). "115th Congress 1st Session H. R. 4532". pp. 1, 14, 35. naturalresources.house.gov. United States House of Representatives. Retrieved January 16, 2018. ^ Vincent Schilling (January 11, 2018). "Heated Exchanges as Utah Lawmakers Push Bill for Vast Reduction of Bears Ears Monument". Indian Country Today. Retrieved January 16, 2018. ^ Tanner, Courtney (December 11, 2017). "Here's a breakdown of the 5 lawsuits filed against Trump that challenge his cuts to 2 Utah national monuments". The Salt Lake Tribune. Retrieved January 6, 2018. ^ Complaint, Natural Resources Defense Council v. Trump, U.S. District Court for the District of Columbia (filed December 7, 2017). ^ Dan Merica, Native American tribes, conservation groups sue Trump over monument changes, CNN (December 5, 2017). ^ Complaint Archived December 10, 2017, at the Wayback Machine, Hopi Tribe v. Trump, U.S. District Court for the District of Columbia (filed December 4, 2017). ^ Brady McCombs and Michelle L. Price, Patagonia joins lawsuits challenging Trump's monument plans (archive), Associated Press (December 6, 2017). ^ Christine Hauser, Patagonia, REI and Other Outdoor Retailers Protest Trump's Decision to Shrink Utah Monuments, New York Times (December 5, 2017). Burrilio, R.E., 2017. "The Archaeology of Bears Ears." The SAA Archaeological Record. 15, 5, pp. 9–18. Uglesich, J., Gay, R.J. and Stegner, M.A., 2017. Paleontology of the Bears Ears National Monument: history of exploration and designation of the monument. PeerJ Preprints, 5, no. e3442v1. 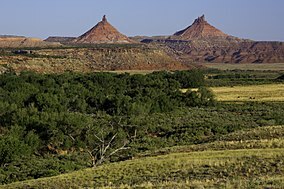 Wikimedia Commons has media related to Bears Ears National Monument. Notice of Public Comment on terrestrial monuments issued by Department of Interior.